This past Memorial Day weekend Mary Beth and I went to Georgia to visit my sister and her husband at their lake house. We arrived here around 1:30AM after a long drive from Holly Springs NC. 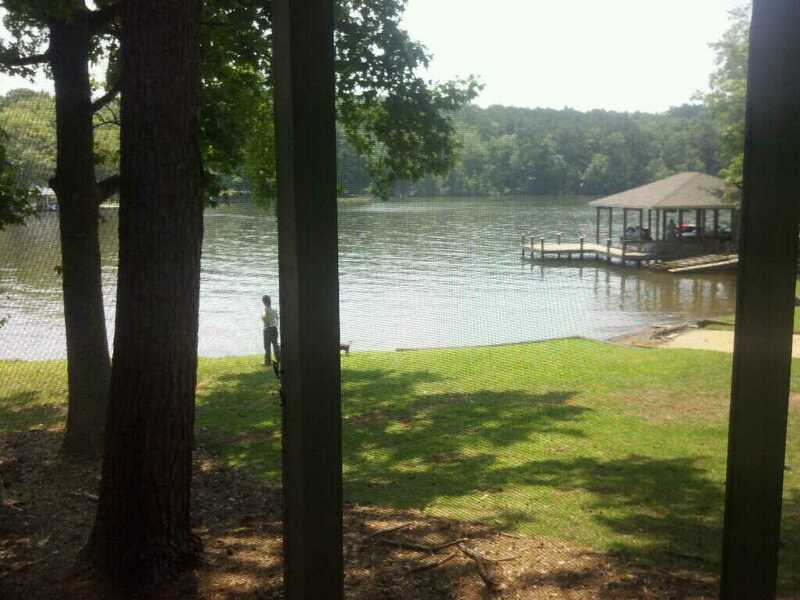 On Saturday, we spend the day swimming in the lake, out on their boat, and we both went tubing for the first time ever. It took Mary Beth a bit of time to warm up to the idea, but after a few runs she was ready to get some air. After spending a wonderful day with family, we drove up to Atlanta Sunday morning. 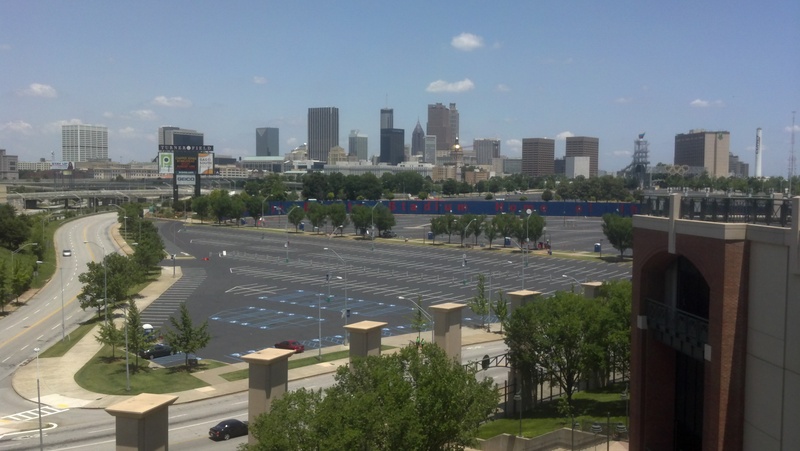 We checked into our hotel and went out to the Turner Field in order to take a tour. Above is a shot of where Fulton Stadium once stood. It is now a parking lot. In the middle of the lot is a commemoration of where Hank Aaron’s 715th home run landed. Put me in coach! 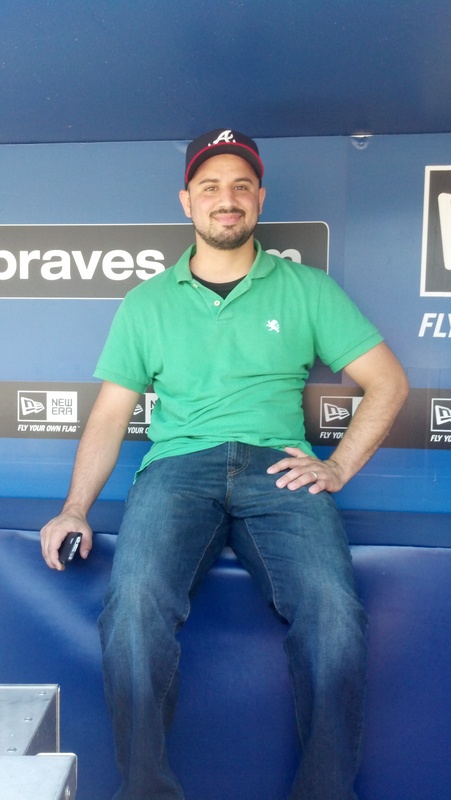 Me in the Braves dugout. And you thought this trip was all about me? Naw. This was all made possible as a gift from James (my brother) to Mary Beth for her birthday. 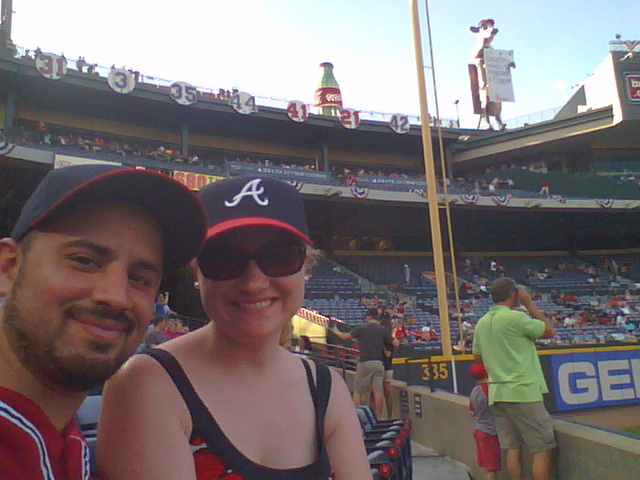 This was Mary Beth’s first time at Turner Field watching her new favorite baseball team. Here we are sitting on three rows away up from left field. The only thing that would have made the day better? Not losing to the Nationals 7-2. Nevertheless, I was able to spend a weekend experiencing new things mit meine schöne Frau. I couldn’t have been happier! Well, we are back in NC, back to work, and now, it is time for me to get back to studying. 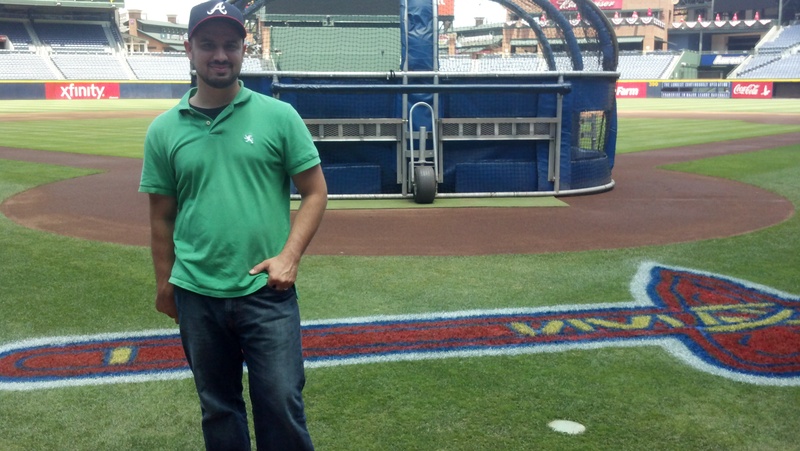 This entry was posted in Life and tagged Atlanta, Braves, Memorial Day. Bookmark the permalink.